Council officers Mike Walsh, Neal Cullen, Michael Hensh and Jim Cosgrove bookend Council 3397’s newest Knight, Doug Miedel, after his First Degree ceremony. 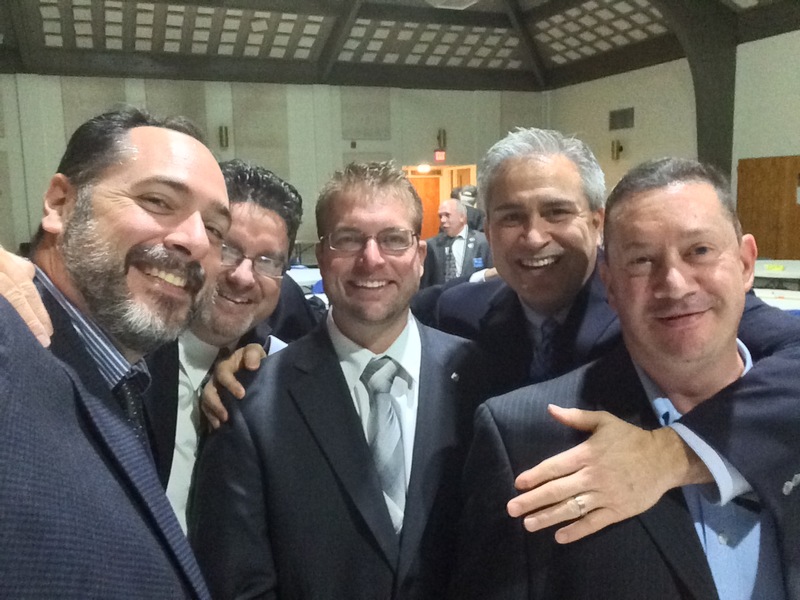 On Monday, November 24, Council 3397 was pleased to welcome our newest Knight into the fold, Doug Miedel. Doug is interested in becoming more active in his faith and looks forward to using his talents to support the Council and Parish in our various service projects. Joining Doug at his First Degree ceremony were his sponsor Chancellor Mike Walsh, Financial Secretary Neal Cullen, Inside Guard Michael Hensh and Trustee Jim Cosgrove. 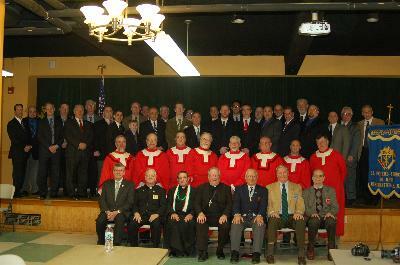 Thank you to Incarnation Council 6364 of Mantua, N.J. for hosting the ceremonies, we felt very welcome in their facilities. 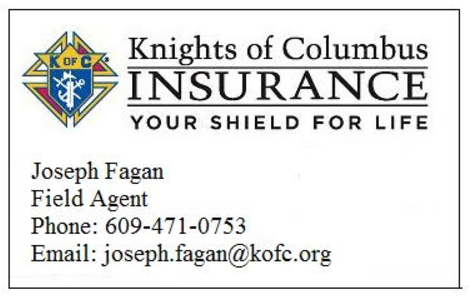 If you are interested in becoming a Knight, read more about us here or feel free to talk to any of our Knights before or after Mass and at any of our events.